Search engine optimization is the process of making improvements on and off your website to gain more exposure in search engine results. Search Engines, such as Google, Bing, and Yahoo search and deliver the most relevant and authoritative results. Search engines look for and try to understand the content that is on the internet; based on the words and phrases people are searching for, search engines then deliver relevant and authoritative results. There are ten search results per page ranking (SERP). Since many people do not go beyond the first couple pages for links to their search results, it is ideal to be as ranked as high as possible for relevant keyword/phrase searches. What is a relevant and authoritative webpage? Search engines measure the relevance of a webpage based on the best match of what they believe people are looking for when they type keywords and phrases into the search box. And then, in a fraction of a second, the search engines use a complex algorithm to rank and display all of those webpages in order of relevance to that phrase that the user just typed in. How can you increase your search engine results? 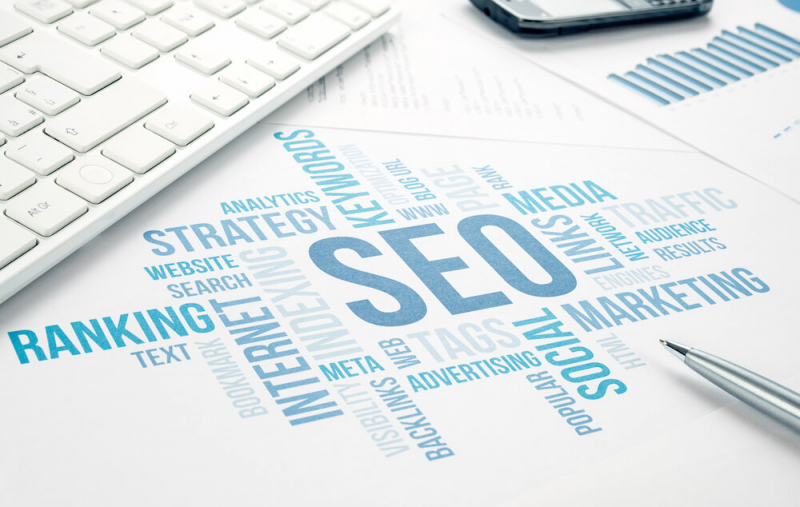 Improve the authority of your website and provide relevant content that search engines can easily find, and you will increase your chances of ranking high by search engines. Your web designer or content marketing person should be able to help with ensuring your website and content and optimized for search engines. However, some of you might be uploading your own content and should be aware of some tips that even a beginner can do to when adding a blog, or changing content, that will help with search engine optimization. Reduce Image Size - If images are too big it can slow down your page speed when loading. I use a free online tool called Tinyjpg.com . Create a meta description for each page - This tells the search engines what the page is about. Often it is the first paragraph of the page. If you have WordPress, Yoast is a popular free plugin to assist with this. H1, H2, H3 - The H1 is your main title and then it goes down in hierarchy from there. If your reader was going to only read your headers, would they understand what your blog or page is about? Google searches in a similar way. Include links - It is always good to have some links to include external and internal pages when it makes sense. This is part of a back link strategy. See below for tips. Make it Easy to Read - Think about your audience first. Does the text make sense to the reader? Are you using language that they understand? Unless you are writing on a highly technical or academic subject, it is encouraged to use plain language. There are a variety of websites that offer a free tool to measure the readability score - Flesch Kincaid score or Fog Index are a couple of popular grading formulas. Keeping it at a grade 6 or 8 is a good benchmark. Yoast also helps with readability. Use Keyword(s), especially in the first paragraph - Know what keyword(s) you want to use for the webpage / blog, and then make sure you use it throughout the page. However, it is most important to have it in the first sentence of the paragraph and in your meta description. Make sure the words used in the link have the relevant keywords/phrases in it, for example - READ MORE or CLICK HERE don't tell the search engines what type of information they will receive when they click on it. The more credible links the better. Note - IF they aren’t credible or irrelevant, you can get penalized. Good reviews help! What people are saying on the internet, such as reviews. When people post comments (reviews), the search engine sees them each as a "vote". Positive 'votes' help builds authority. Votes are collectively known as sentiment. A search engine is more likely to trust a link if it comes from a well-respected or industry-related site, like an industry-leading blog or a non-profit or a government agency involved in your field of work. Depending on how current the website linking back to you is, will contribute to the level of authority given. Give people helpful, useful and relevant content! Give people the content they are searching for, therefore make sure you know what your target audience is looking for. Consistently create new, quality content that is helpful to your target audiences and optimized (e.g. to support fast page load time) Tip – TinyJpg. SEO is a marathon, not a Sprint.